A big success in terms of attendance, visitors, exhibitors. The second Formulating Cosmetics & Making Cosmetics Conference and Exhibition, organized by SICC (Italian Society of Chemistry and Cosmetologic Sciences), Step Exhibitions, Teknoscienze and Valorevents, has registered a significant growth in terms of numbers, interest and appreciation. The exhibition space has been sold out, the conferences organized by SiCC and the journal H&PC Today (Teknoscienze Publisher), have been crowded by an audience attracted by sensitive and appealing issues covering science, regulation, technology, innovation, marketing. 1,055 unique visitors have been attending the exhibition and conference over the two days, more than 50% increase of attendance compared to last year. Italy is one of the most relevant market worldwide in terms of science, tradition, technology, consumption. Saying that, Italy was missing a platform focusing on these aspects of the business. Of course Italy hosts very big events, which attract players from all over the world. Nevertheless a meeting point, a place where to talk, to meet or to stop for a moment learning topics of key interest for the field, strategically placed at the end of the year, i.e. the time of summaries and forecasts, well, such an event was missing. 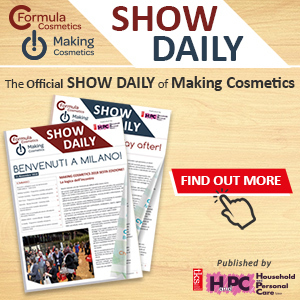 And the second edition of Formulating Cosmetics & Making Cosmetics Italy has confirmed this need and filled it in. We have received lots of encouraging comments and we look forward to improve our offer in terms of contents and facilities. This year the meeting has been honoured by the presence and support of the associations AISPEC - MAPIC (Federchimica)(*) and EFfCI (European Federation for Cosmetic Ingredients) (**). This represents an important aspect because we trust in the dialogue with the Associations which represent the backbone of this important industrial branch. In a global scenario changing so quickly, with new challenges in front of us such as the growing demand and need for more sustainability, responsibility, safety and for quality assurance, it is the union which makes the power. A fundamental need to this to comply with today's highly demanding regulations. In this context working together becomes a must and belonging to an association also represents a very solid commitment for its members. We are now paving the way to the 2015 event. The agenda is already in progress, the topics in development are under evaluation thanks also to the contributions of the attendants who indicated their preference and expectations. 2015 is set to be an interesting year for Milan, which will host the international EXPO, an appointment, which will attract millions of visitors to the City. 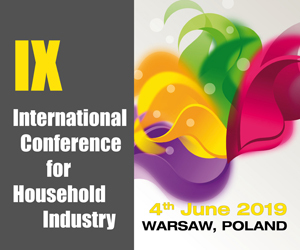 In this frame SICC will organize his 40th Congress contributing to the cultural debate during the Expo event. We look forward to meeting you in Milan on the 24-25th of November and we thank you all who trusted us in this new challenge. (*) Federchimica is the Italian Federation of the Chemical Industry. It is a member of Confindustria (General Confederation of the Italian Industry) and CEFIC (European Chemical Industry Council). The most important Sector Association is AISPEC - the Italian Association of Fine Chemicals and specialized sectors. It is composed by 14 Product Groups dealing with Fine Chemicals, specialized sectors and engineering industry among these there is Mapic - The Group of raw materials for cosmetic industry and additives for cosmetic and pharmaceutical industry. Mapic represents many companies which manufacture and market cosmetic's raw materials: over eight thousand ingredients from different origin, characteristics and physico-chemical properties, belonging to all the pertinent categories (dyes, emollient and oily components, natural extracts, UV filters, functional principles, surfactants and emulsifiers, etc.). 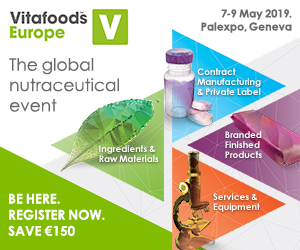 (**) EFfCI is the European Federation for Cosmetic Ingredients – a European trade association that brings together manufacturers of synthetic and natural ingredients for the cosmetics and personal care industry. We currently represent the interests of more than 100 cosmetic ingredients companies in Europe. Established in 2000, we advocate the collective interests of more than 100 cosmetic ingredients companies in Europe. When I reported on the event last year, I recall describing the word "Cosmetagorà" as a term that conveys a sense of open space, of something broad. In ancient Athens, the Agorà was a place where people gathered and openly confronted in the spirit of that civilization that would have then led to shaping democracy: the government of all. I was thinking about it on a cold Monday - it was the 12th of October, while walking in a windswept Paris boulevard and as I felt deep in my heart the sorrow for the tragic events we all know of which recently occurred in the French capital. Those events led to a mass demonstration that will be remembered as one of the major events of the history of this century. Yet, history isn't made only through memorable days like the 11th of January, but is especially made by what we do in the days that follow. Every one of us can help to make history, whoever we are and whatever role we have. What is important is that we feel the urge to do it and that we do our best to help, by strongly committing to achieving the objective we set before us. The recent events in Paris have cast a different light on our presence at the 2015 edition of Cosmetagorà. We being at the Espace Champerret this year had a significance that went beyond that of a long-awaited meeting of professionals of a sector which sees France at the very forefront of this industry. Our special thanks go to the organisers, the Société Française de Cosmétologie, Sandrine Barth (OODT), to all the event staff who, though these days have been an emotionally hard time to work in, have committed to exceeding the expectations of the participants, the exhibitors and all the visitors. The results have been amazing. Industry players had the perfect venue and time to meet and network, showcase their work, new products and services. Cosmetagorà can be very much defined as a traditional event by now, having reached its seventh edition this year. The fact it falls at the beginning of the year makes it strategically important for both the French and the international cosmetic markets. Visitors came from all corners of the world and, notably, also included students and teachers, whose participation is significant for the future of the industry. Mass-market beauty products increasingly dominate the global industry - accounting for 78% of beauty value growth since 2000 and helping to drive total global sales by 100% over the past 15 years to reach US$454bn*. Skin and haircare are two of the biggest sectors, worth US$107bn and US$77bn respectively and are expected to grow by more than 20% by 2018. Consumers are increasingly eager to buy into added-value products, particularly when it comes to counteracting the effects of ageing and pollution – two of the biggest global trends currently. in-cosmetics 2015, this year celebrating its 25th anniversary, brings these and more beauty industry trends to life in Barcelona, Spain - the fourth largest cosmetic and toiletries market in Europe. 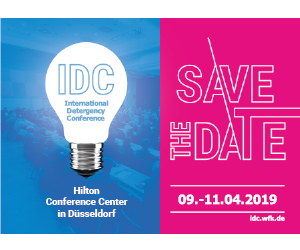 The very latest innovation, exclusive research and consumer insight from bluechip companies, plus a host of specialised suppliers from around the globe representing a diverse mix of more than 680 top manufacturers from over 40 countries. Following the success of last year's focus on Brazil, 2015 will see attention turn to Turkey & the Middle East with a dedicated feature exploring what the regions have to offer. A special pavilion will play host to ingredients manufacturers from Turkey and bordering regions with manufacturers. Research company TechNavio forecasts that the global Halal cosmetics and personal care market will grow at a CAGR of 13.43% over the period 2013-2018. This strong growth can be attributed to both the rise in the world's Muslim population and continued strong demand from Malaysia and Indonesia – the two largest Halal beauty markets in the world. Eight exclusive half-day workshops headline in-cosmetics 2015's Educational Programme. 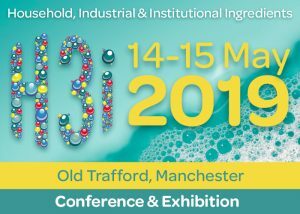 Led by industry experts covering the most crucial scientific and regulatory subject areas, sessions cover an array of topics from legislation to formulation. Highlights include The Claims Development Process – More than Just Evidence led by Theresa Callaghan of Callaghan Consulting who'll take a closer look at how cosmetics claims legislation affects the full life-cycle of product development and Delivery Systems for Cosmetic Actives hosted by Dr. Florian Weighardt, Associate Editor of H&PC Today. His workshop provides expert formulators, buyers, product developers and marketers with an introduction to the skin structure and the permeability of the stratum corneum. 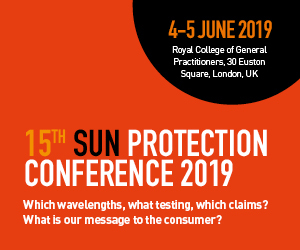 Sun Protection Regulation in the EU, US and Australia features an expert panel of speakers including Dominique Lutz of Helioscreen and Dr Jack Ferguson of Skinnovation providing an overview and update on regulations affecting marketing in these regions - the three largest markets globally. The wider educational programme sees the Marketing Trends theatres host three days of free Marketing Trends insights, including round-table events, chaired by the likes of Cossma Editor Angelika Meiss who examines 'How Niche Brands Can Make it Big' and Amarjit Sahota of Organic Monitor, who will take a closer look at natural and organic standards and certifications. The Innovation Zone explores the very latest developments, bringing together four elements to inspire and educate: Latest product launches, formulation displays, and live demonstrations, while Mintel presents Beauty Rituals – examining the changing approach to beauty regimes - from the multi-step skincare routines of women in Asia, to the complex haircare adopted by Brazilians.